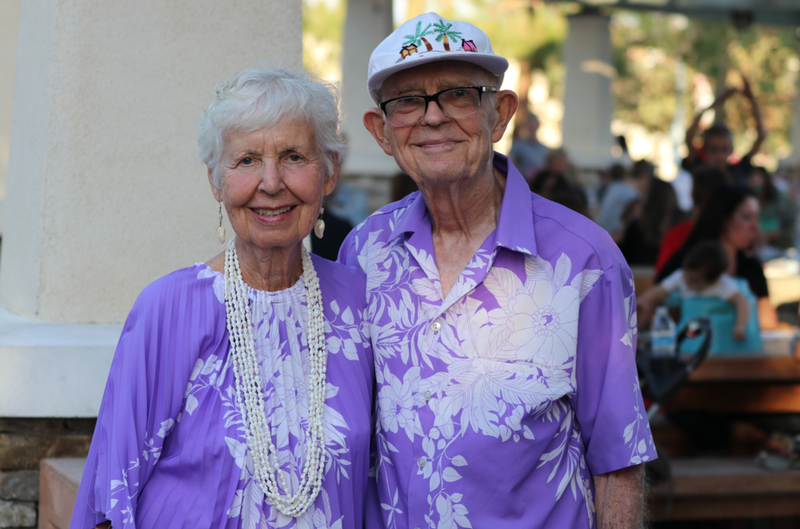 Laguna Hills, Calif. — Aloha! 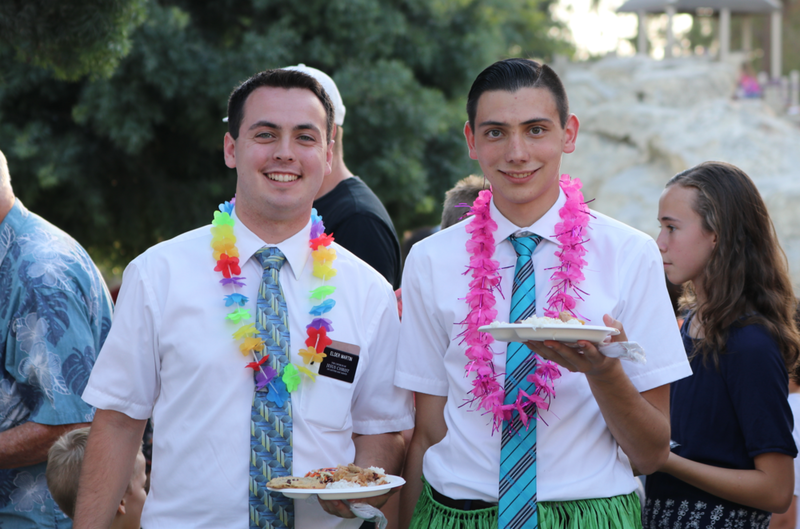 The message was simple and awesome, everyone was welcome! 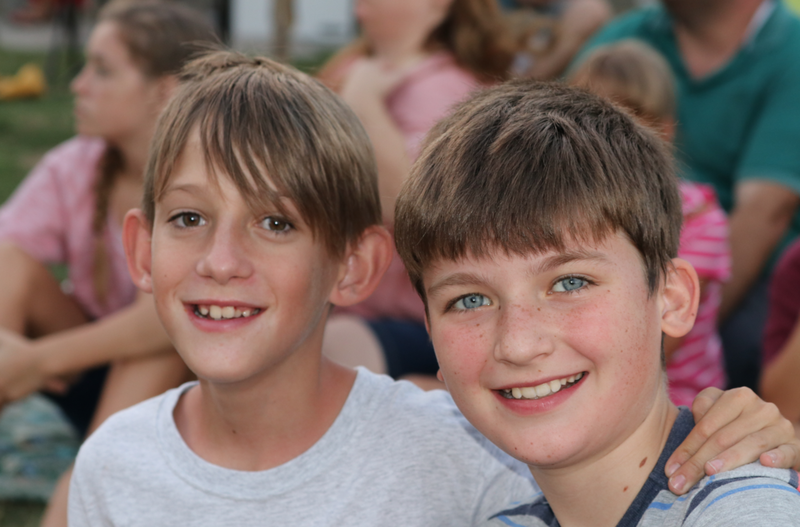 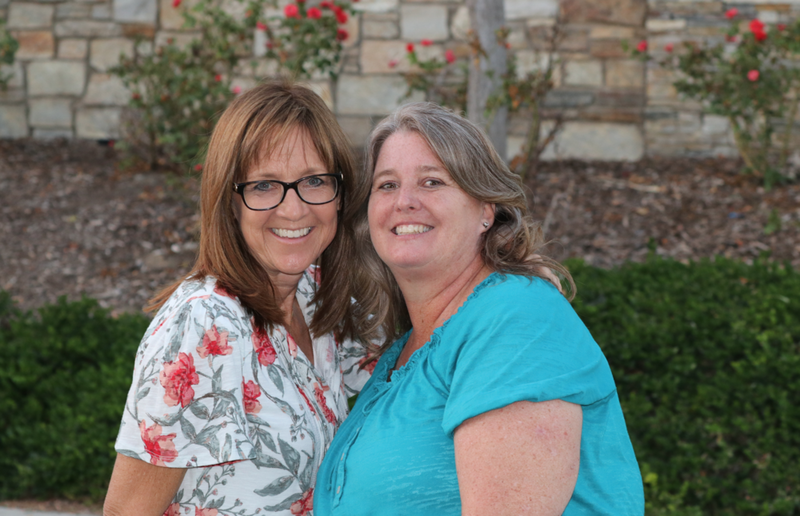 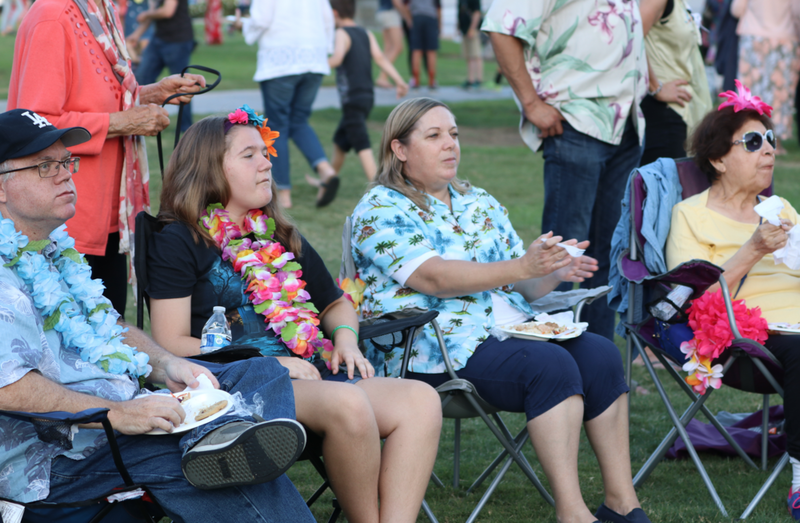 The Laguna Niguel Stake Family Luau was an afternoon and evening of pure delight on Saturday (Sept. 22). 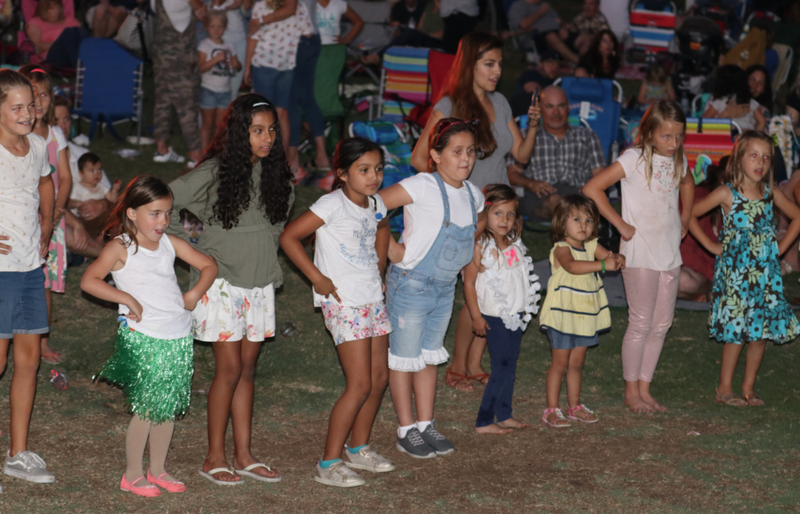 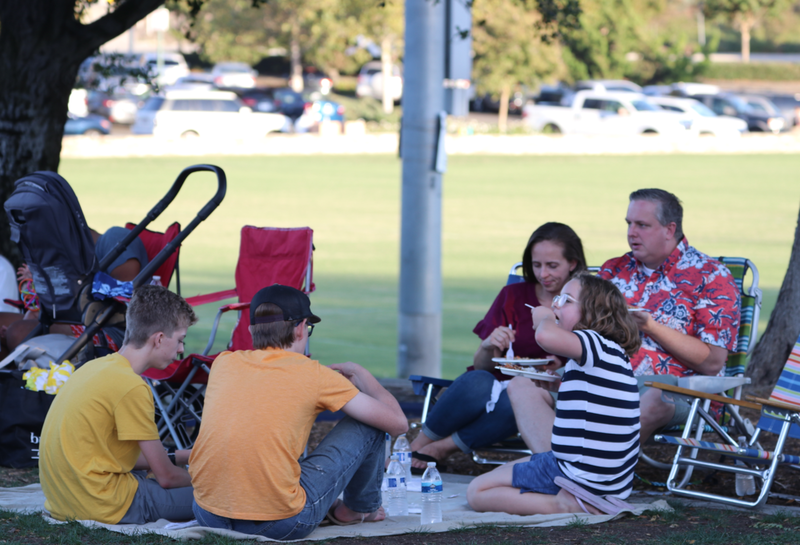 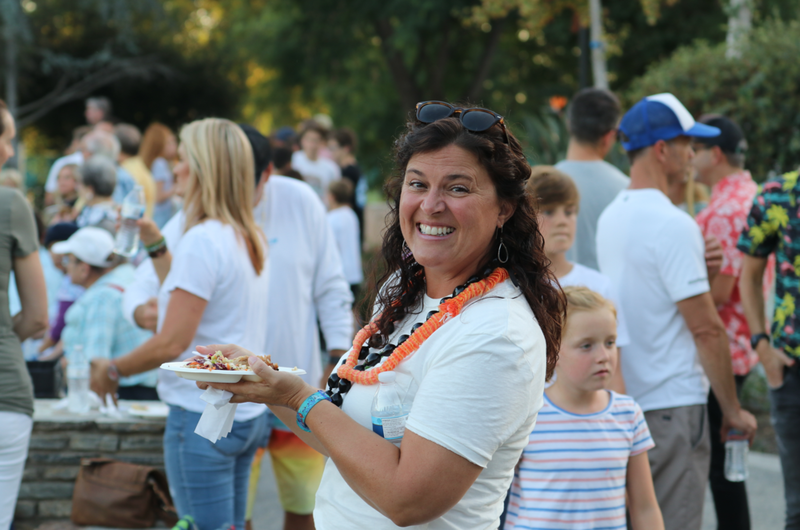 Over 1,200 members of the Laguna Niguel Stake, their friends and family, neighbors, and community members gathered for delicious food and exciting entertainment. 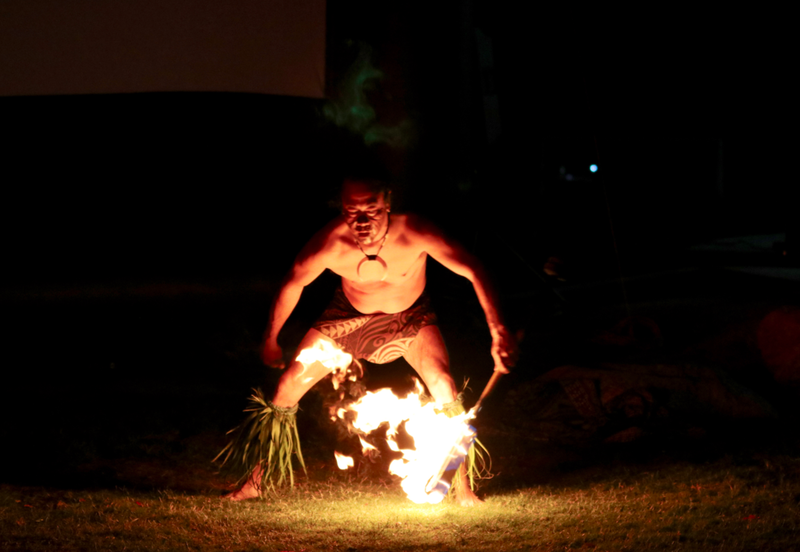 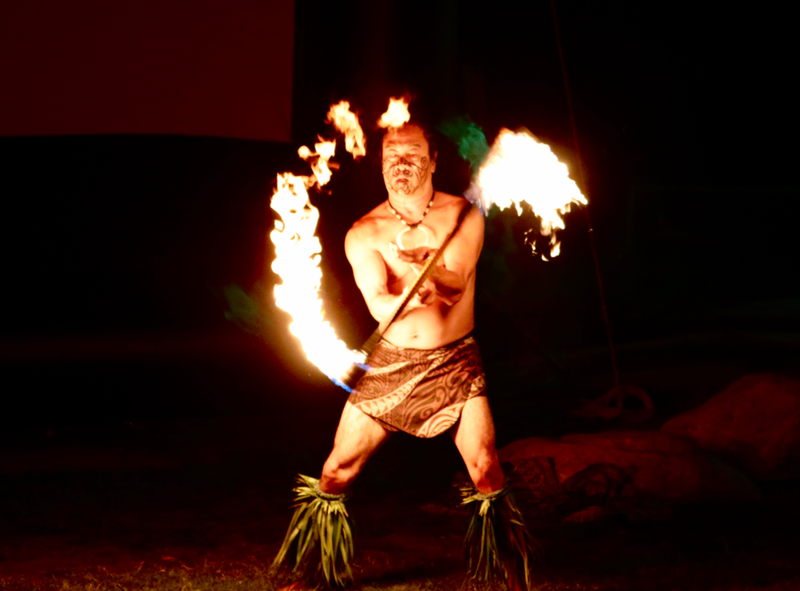 So Cal Events provided the Hawaiian cuisine along with traditional hula dancers and a spectacular fire show! 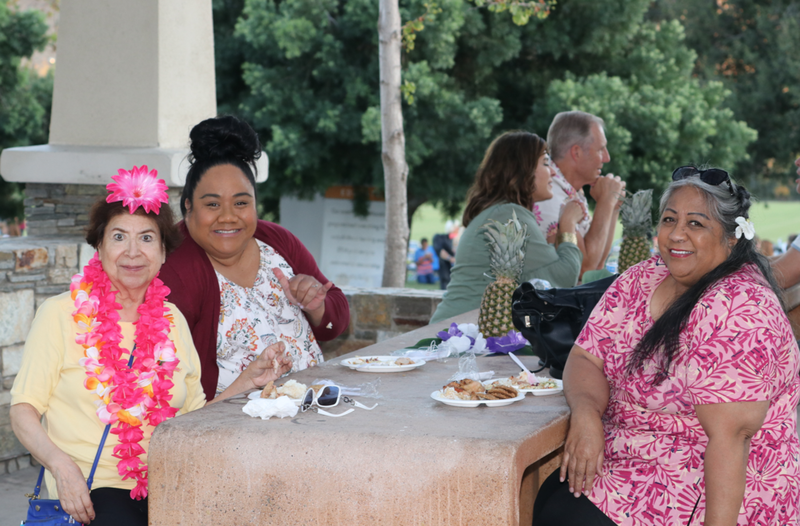 Members of the local fire department were on hand (not that the fire show needed them) but to accept a gift basket and thank you cards that guests made at the start of the luau. 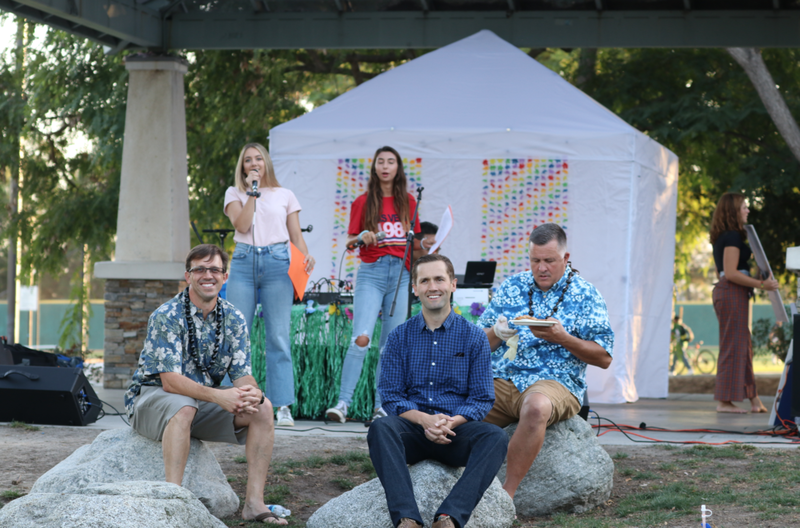 This went along with the JustServe booth which collected more than $3,000 worth of gift cards for victims of the Redding fire, from this past destructive fire season. 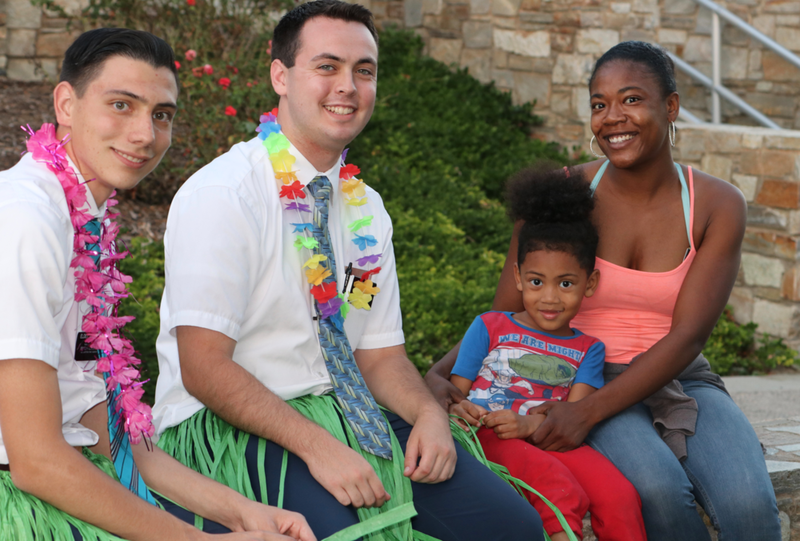 Hundreds of baby wipes and diapers were also donated for local refugees. 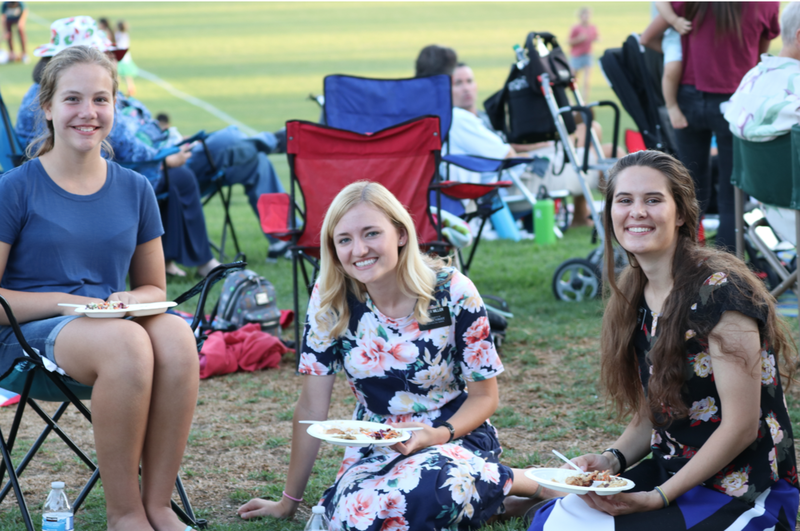 Along with the fantastic food, entertainment and service, young women from the stake spotlighted our new stake presidency with fun pictures and fascinating facts about them. 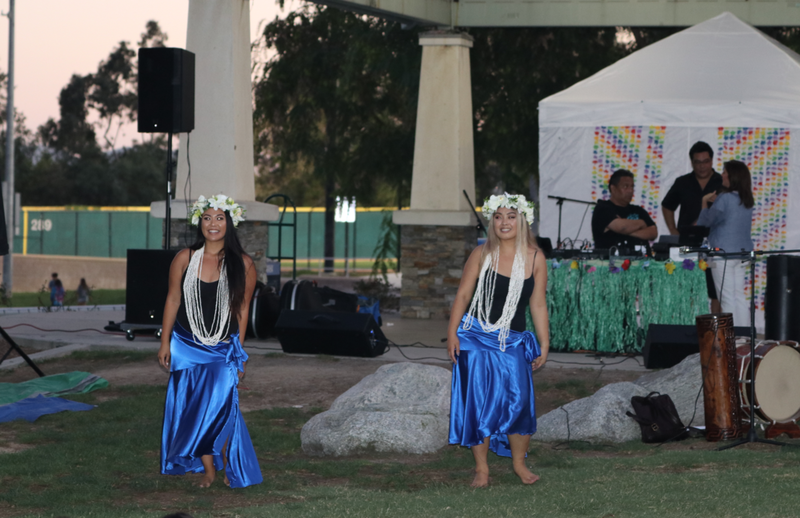 The night was capped off with a viewing of “Moana” on the big screen! 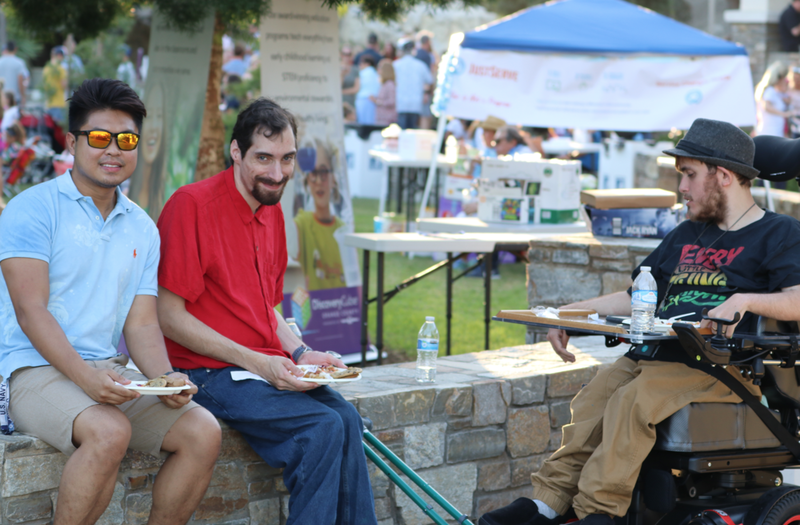 The event was remarkably hosted by Bruce Chang as DJ, who always does an incredible job of setting the tone of a party. 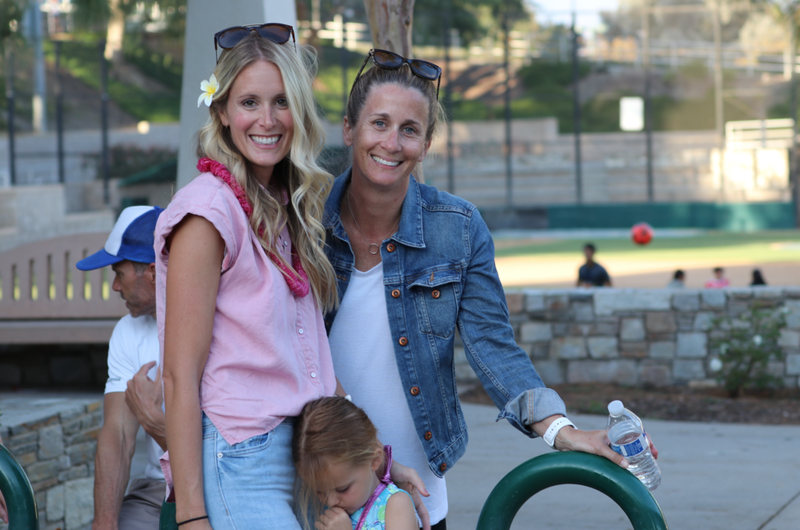 Kristen Kamerman and her crew wonderfully created an event to unite the community. 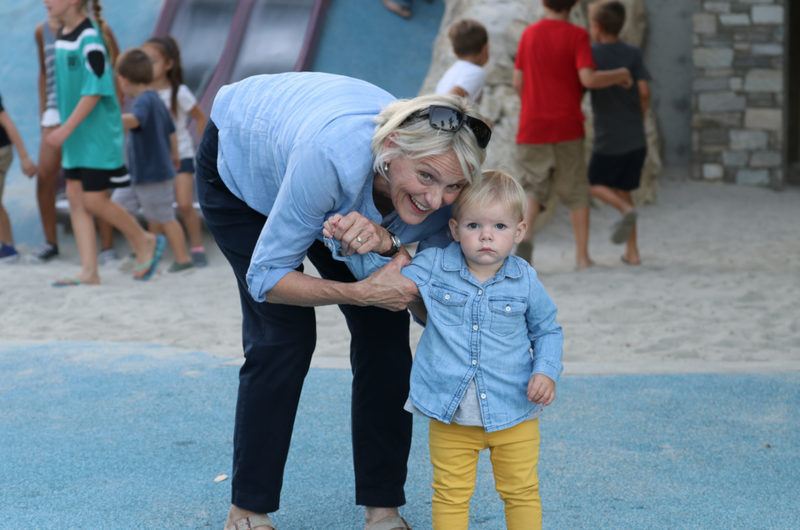 She certainly achieved that, as many people in the park felt welcomed to participate. 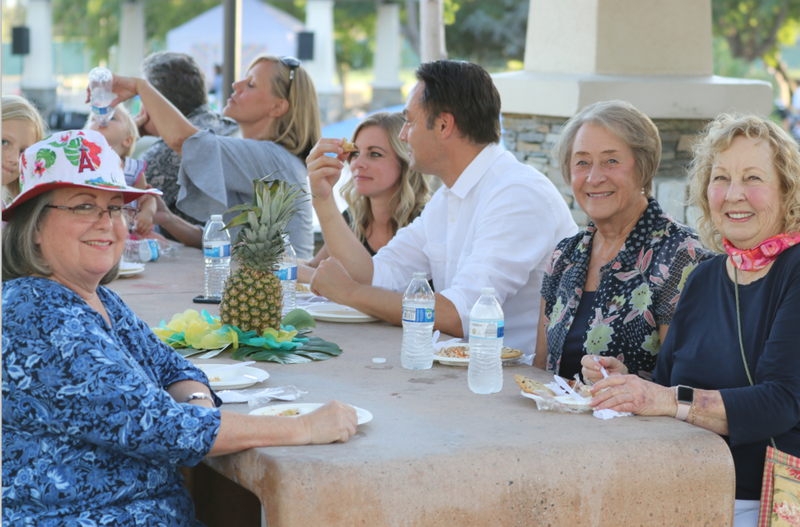 Thank you to everyone that helped to make the Laguna Niguel Stake Luau a success!